Fifty million Americans suffer from chronic pain – representing 20% of the population, according to 2018 data collected by the Centers for Disease Control. “Chronic pain” is any type of discomfort lasting three months or longer, ranging from a persistent, dull ache to excruciating, agonizing shooting pain. Of these, 20 million people have what is considered “high-impact chronic pain” that interferes with life and work activities. Most people develop chronic pain following a serious injury or illness. Health conditions like HIV/AIDS, cancer, arthritis, migraines, back injuries, and infections are most commonly associated with chronic pain. The use of cannabis for treating chronic pain dates back more than 4,000 years to the Chinese, who prescribed plant-derived cannabinoids for constipation, joint pain, female reproductive disorders, muscle spasms, gout, and malaria in 2900 B.C. What Type of Chronic Pain Does Medical Cannabis Treat? How Does Medical Cannabis Treat Chronic Pain? There is much to learn about the exact mechanisms behind the pain-relieving capacity of cannabis. Research is just starting to take off in this arena, along with the legalization efforts of many states. What we do know is that both THC and CBD act upon the endocannabinoid system of the body, which processes and manages unpleasant sensations. Other researchers believe – at least with THC-heavy medical marijuana strains – that the medicine does not affect the sensory perception of pain, but rather, works in a more psychoactive way to make the situation more tolerable. Why is Medical Cannabis a Better Alternative for Chronic Pain? Lower Risk of Serious Side Effects: Unlike other pain relievers, medical cannabis does not increase a person’s risk of gastrointestinal complications, liver toxicity, or kidney failure. Side effects are generally mild, such as dryness of the mouth, increased appetite, reddening of the eyes, dizziness, and muscle relaxation. Lower Risk of Addiction and Death: Opioids were involved in two-thirds of the 72,000 American drug overdose deaths in 2017. The death toll was higher than all the US casualties in Vietnam and the Iraq War combined. Not only does opioid use lead to dependency and death in many cases, but side effects like nausea, insomnia, and liver toxicity can be as debilitating as the chronic pain, too. By comparison, medical cannabis is associated with few – if any — negative side effects. Additionally, the Journal of Pain found that medical cannabis use reduced dependence on opioids by 64 percent. When you need safe, effective medicine, you can trust Modern Canna Science Florida marijuana testing laboratory to assure quality. 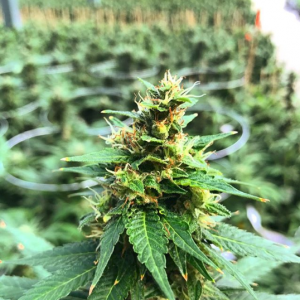 We work with growers, manufacturers, doctors, patients, dispensaries, and laboratories to provide state-compliant testing that uses cutting-edge technology and a progressive strategy to stay ahead of the curve. Contact our Florida testing lab team of certified scientists to learn more.